Operate and deliver telecommunications and other related services to customers domestically, Internationally and overseas. Information about Customs in Thailand. Thaitrade.com is an E-Marketplace that is free of charge.The only website that ensures the status of the trade members for the users. Official website of Thailand Immigration Bureau. On these pages, You will find information about the Embassy and its services. The Joint Foreign Chambers of Commerce in Thailand is the umbrella body for various Thai-foreign chambers or business associations operating in Thailand. Helps foreign investors by offering guidance, practical advice and introductions to Finnish companies and organizations. Finpro helps Finnish SMEs go international, encourages foreign direct investment in Finland and promotes tourism. We bring growth to Finland. The Bank of Finland is the central bank of Finland. ETLA, the Research Institute of the Finnish Economy, is the leading private economic research organisation in Finland. Statistics Finland combines collected data with its own expertise to produce statistics and information services. Tekes is the most important publicly funded expert organisation for financing research, development and innovation in Finland. We boost wide-ranging innovation activities in research communities, industry and service sectors. 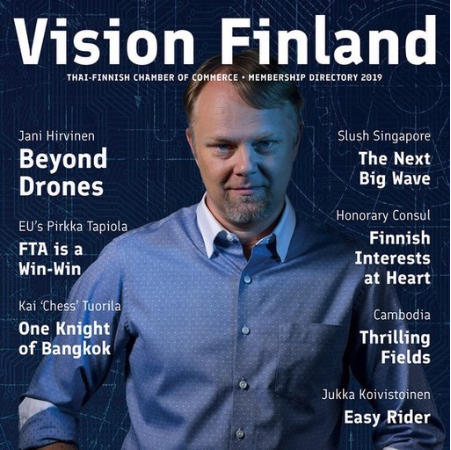 Focus on the Economy and Technology – a magazine created for key audiences in Finland’s major export markets, presents the country’s strong points to the world in articles about water expertise, education, energy, design and more. Kauppapolitiikka on ulkoasiainministeriön julkaisema taloudellisten ulkosuhteiden aikakauslehti. The key functions of the Ministry are foreign and security policy and matters of foreign political significance. Finnfacts is an independent media service unit that operates as an interface between international media and Finnish industry and business. Confederation of Finnish Industries (EK) is the leading business organization in Finland. Our main task is to create an internationally attractive and competitive business environment for companies operating in Finland. 16th Floor Room 1601 B, 1126/2 Vanit II Bldg. C/o Martex Industries (Thailand) Ltd.